It might be a bit pretentiously presented (complete with cute little rusticated tags), but would you be less than boastful if you brought together so many elements in one design? 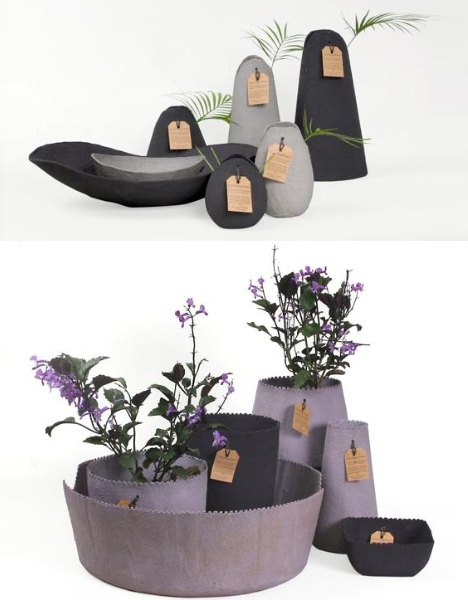 These clever works are a combination of local, free-trade, artisan-made pottery pieces plus a biodegradable set of recycled materials. 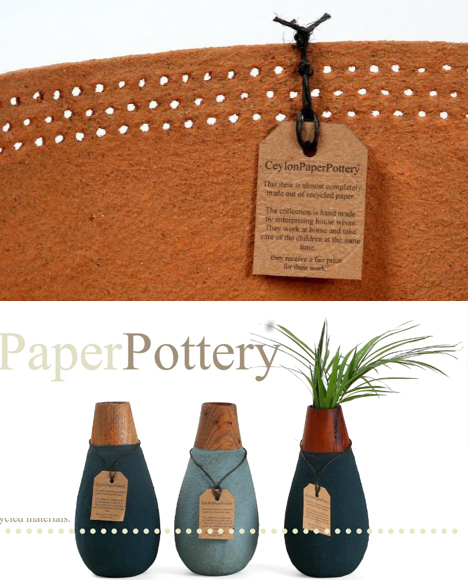 Without using synthetic chemicals or eco-harmful varnishes, Ceylon Paper Pottery has developed a 100% waterproof hybrid material made of waste wood, reused paper and simple sand. 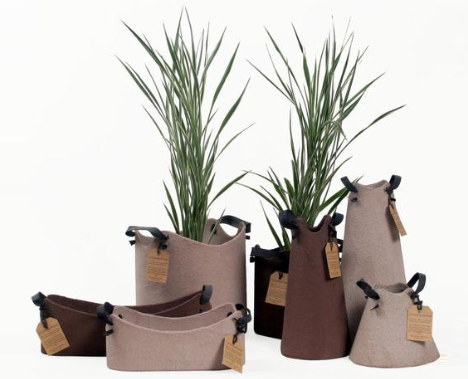 The result looks and feels like rough homemade papers, but has the strength and durability of typical pot-throwing materials. It sounds simple, but there is a careful selection process – blends of differently dyed papers produce a variety of organic brown tones as well as blacks, whites and everything in between. 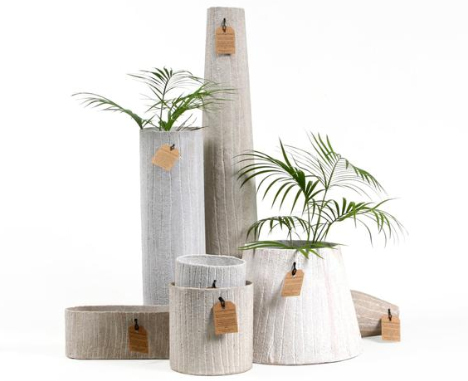 Their collections vary over time, but are all based on an underlying “light, strong, unbreakable and eco-friendly” construction system that can be used to replace ceramics or porcelain. Once could imagine a number of uses for this method and material set beyond these more arts-and-crafts-type applications. Added accents make use of local scrap woods including mahogany, teak, mango, kumbuk and other exotic and colorful hardwoods that would otherwise be expensive to use in home products.